Showground Dental is a locally owned and operated dental service, delivering premium dental care for our patients. Founded in 2012, we have become a leading practice in south-east QLD with loyal customers in our home suburb of Bowen Hills and throughout Brisbane. We are centrally located in Bowen Hills, not far from Brisbane CBD, so we are easy to find wherever you are in the Brisbane area. When you receive dental care from our team, you can feel confident that the experience will be comfortable. 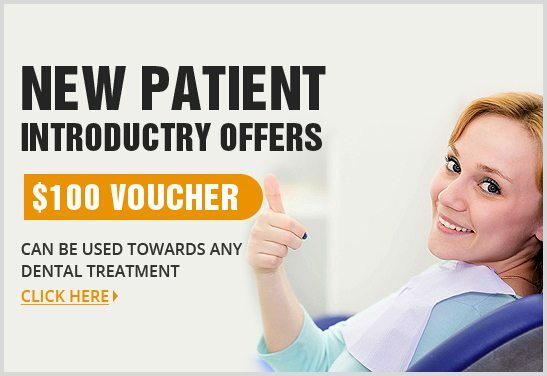 We use cutting-edge, pain reducing technology in our dental surgery. 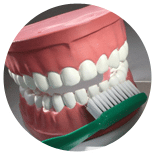 We also focus on prevention, as well as cure – we will help you develop good oral hygiene habits, saving you money on extra trips to the dentist. We offer six-monthly preventative checkups to track the health of your teeth and ensure your oral hygiene routine is working because we believe prevention is better than cure. These appointments include a virtual tour of your mouth, intra-oral photos, scale and clean, polish, fluoride treatment and X-rays as required. 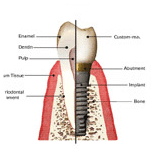 Dental implants offer a convenient way to restore your smile by replacing missing or damaged teeth without affecting the adjacent teeth. For nervous patients, we offer safe inhalation sedation using nitrous oxide – commonly known as ‘happy gas’. The gas is colourless, sweet smelling, and won’t irritate your airways. 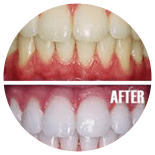 If you need a full set of teeth, whether bottom, top, or both, we can help with natural looking dentures. 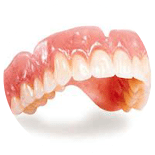 As well as full dentures, we offer denture repairs, relines, and chrome or acrylic partial dentures – plus, pensioners receive 10% off! The friendly team at Showground Dental are focused on helping you find your confidence and bring out your smile. Our staff members are friendly and have the necessary skills to ensure you get the best dental care possible. We understand that for some patients, dentistry or dental procedures can be daunting so we offer noise cancellation headsets, television, and inhalation sedation for the truly skittish. Our dentists ensure you are informed each step of the way during your procedure and are happy to answer any questions you have in relation to your treatment. All three dentists speak fluent Chinese Mandarin and English. Annie graduated from The University of Queensland Dental School in 2006. She worked in private practices in Carindale and Manly West before founding Showground Dental with her younger sister Amanda Lin in 2012. Annie pays impeccable attention to detail, which is reflected in her dental services career.She has a passion for all aspects of dentistry, including cosmetics, root canal therapy, and crowns and bridges. Annie is renowned for her gentle and caring approach and always ensures her patients feel at ease. Amanda graduated from The University of Queensland Dental School in 2008. Ever since, Amanda has worked in both private and public dental care services. Amanda takes pride in her experience in all aspects of general dentistry but has a particular interest in a preventative dentistry approach that minimises interventions. Amanda’s motto is that “prevention is better than cure”. She strongly promotes preventive care programs as she believes prevention dentistry is more cost-effective in the long term. Dr Albert Lin graduated from the University of Queensland in 2007 and has called Brisbane his home for over 20 years. He enjoys working with a smile and believes listening to your needs and concerns is the key to delivering optimal dental services. Albert’s approach to dentistry is simple and relaxed. Having spent many years working with oral surgeons, Albert has gained valuable experience that helps when removing difficult wisdom teeth. He has a passion for travelling and frequently volunteers as a dentist overseas. As well as English and Mandarin, Albert can also speak with patients in basic Spanish!